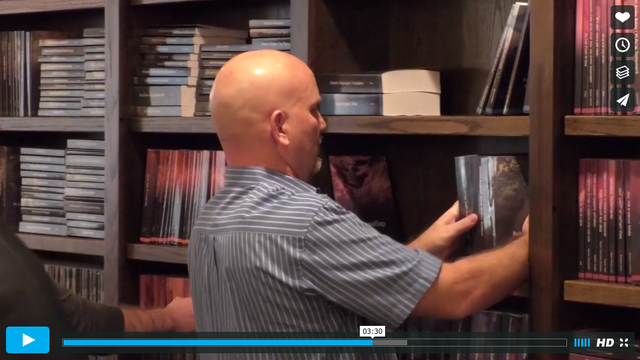 We just released a new print edition of the World English Bible. 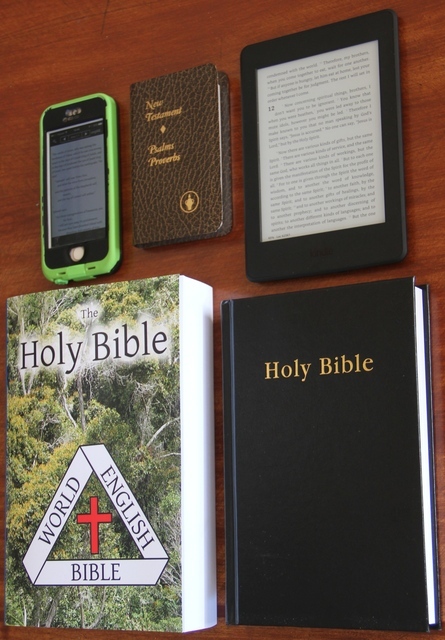 The free digital formats of the World English Bible are still available, but with print, there are no batteries to run out and no hardware and software to fail or become obsolete. See WorldEnglish.Bible for details. I typeset this Bible with software that I wrote, which I also used to typeset the hundreds of print-on-demand Bible translations pictured below. It took a long time to write the software and prepare the inputs, but it only takes about 3 days of computer run time to typeset the whole lot. Now, most of the Bible translations in the list at eBible.org/find are in print format, too. See vimeo.com/185506480 for a view of some of these precious Bible translations in print. May God bless those who read the Holy Bible in their own language. Last week we met Lori's mother, brother, and sister on the Big Island of Hawaii for a mini-vacation. We went swimming, snorkeling, and got to catch up with some friends in Youth With a Mission. That we would do God's work in God's way.